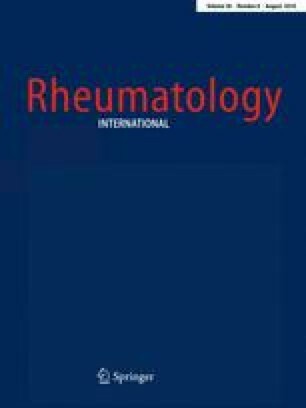 To identify features associated with long-term persistent remission in rheumatoid arthritis (RA) patients on tapered biological disease-modifying antirheumatic drugs (bDMARD) (tap-bDMARD) therapy. We carried out a 40-month (m) extension follow-up study of 77 RA patients from a previous 12 m tap-bDMARD study. Disease activity was assessed at baseline and every 3 months. Doppler US investigation of 42 joints for the presence and grade (0–3) of B-mode synovial hypertrophy (SH) and synovial power Doppler signal (i.e., Doppler synovitis) was performed before starting the tap-bDMARD strategy by a rheumatologist blinded to clinical and laboratory data. At the 40 m mark, 44 (57.1%) patients failed the tap-bDMARD strategy, while 33 (42.9%) succeeded. Patients who presented a failed tap-bDMARD had significantly longer disease duration, a longer time from symptom onset to synthetic (s) DMARD start, longer duration of sDMARD treatment, a greater number of sDMARDs, and a higher baseline DAS28 and SDAI than patients with successful tap-bDMARD at 40 months. In logistic regression analysis, the presence of baseline Doppler synovitis, a DAS28 ≥ 2.2, and the presence of rheumatoid factor were identified as predictors of tap-bDMARD failure at 40 m. In those patients who succeed tap-bDMARD at 12 m, a smoking habit was significantly more frequently found in tap-bDMARD failures at 40 m. Our results showed that DAS28 and the presence of Doppler synovitis, RF and a smoking habit predicted long-term tap-bDMARD failure. The authors would like to thank all patients who kindly consented to participate in this study and the Spanish Society of Rheumatology for their support throughout the manuscript preparation process. E.N., L.V., J.G. : study design. E.N, L.V., I.J. I.M., F.J.L.-L., D.H-F., C.G. : acquisition of data. E.N., L.V., L.M-E., J.G. : analysis and interpretation of data. E.N., L.V., L.M-E., J.G. : manuscript preparation.